This is a yummy and healthy dish you can serve along side almost any entree. You can also puree this for little one's that are not eating finger foods yet, or cut up into bite size pieces for little ones that are eating finger foods. Remember to remove the potato skins if you are serving to little ones. This is filled with vitamins A and C, folate, potassium and calcium. Preheat oven to 375F. Remove stems from carrots and peel. Place in a medium to large baking/roasting pan. 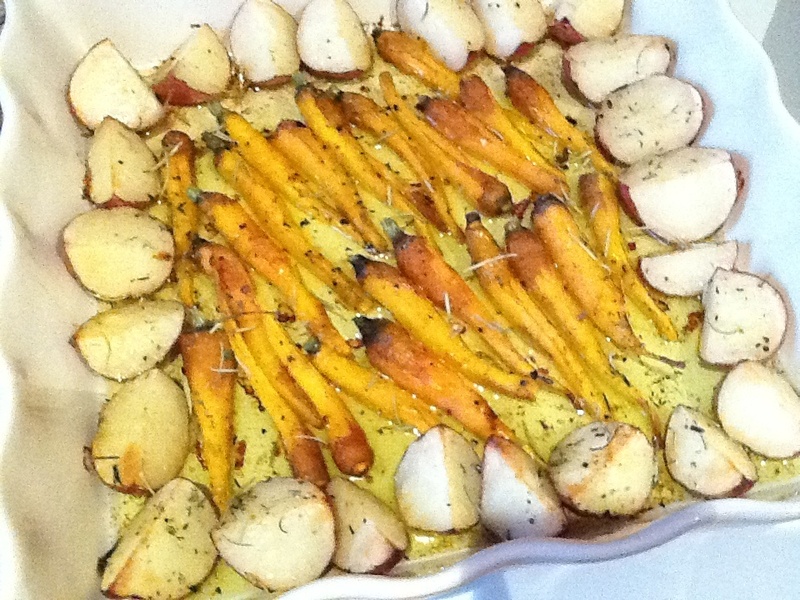 Cut red potatoes into quarters and place around the carrots. Drizzle or brush with olive oil. Add garlic powder, pepper, rosemary and Herbs de Provence. Place in the oven and roast for 45 minutes or until tender. Serve and enjoy!